Council Member Kevin Hartke has lived in Chandler since 1985. Although he began his tenure on City Council in January of 2011, he also served for a year as an interim Council Member in 2008. He has been elected twice by the City Council to serve as Vice Mayor. He continues to serve as Lead Pastor at Trinity Christian Fellowship in Chandler where he has worked since 1985 and Director of For Our City Arizona. For Our City is a collaborative effort of government, business, nonprofit and faith leaders gathered to find solutions for needs in a community.Kevin has a bachelor’s degree in biochemistry from University of Missouri, Columbia; and a master’s degree in Theology from Fuller Theological Seminary. Kevin is involved extensively in the state and Chandler community in areas of economic development, transportation and human services. He currently serves regionally as the Co-Chairman of the Continuum of Care Regional Committee on Homelessness for the Maricopa Association of Governments (MAG), on Maricopa County’s Regional Public Transportation Authority and MAG’s Regional Economic Development Board. In Chandler, Kevin volunteers with several organizations. He is the director of For Our City-Chandler. He also serves on the board of the Desert Cancer Foundation of Arizona (DCFA), helps with American Cancer Society, serves as a member of the Public Policy Committee at the Chandler Chamber of Commerce and the Downtown Chandler Community Partnership (DCCP). He is a literacy advocate and reads weekly to 6th graders at Galveston Elementary School with BookPALS. 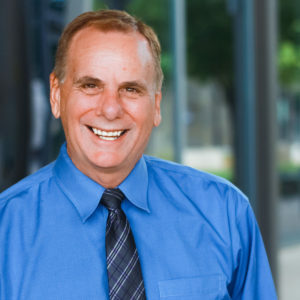 In the City of Chandler, his past service had included being a commissioner on the Planning and Zoning Commission, chairman of Human Relations Commission, chairman of the 2010 Complete Count Committee, member of a previous Charter Revision Committee and an ex official member of Chandler Airport Commission. Kevin also served on the Chandler Regional Medical Center Trauma Advisory Council. He has also served on the executive board member of the Chandler Coalition On Youth Substance Abuse (CCYSA), a Governor’s commission, AZServes, a Congressional committee in CD 6 on Faith and neighborhoods, coached soccer for the YMCA, organized citywide community volunteer efforts and helped organize and lead Chandler’s first traditional neighborhood association, Arrowhead Meadows. Kevin has been married to Lynne for more than 35 years. They have four children: Nathan, Aleah, Katelyn and Zachary; three grandchildren, Micah and Madelyn and Benjamin and a rescue dog Mollie.